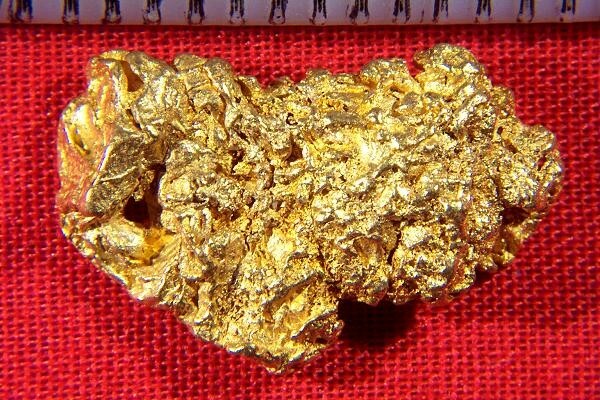 Found by a gold prospector in Western Australia, this Natural Australian Gold Nugget weighs in at a nice 4.9 Grams (75.6 Grains). It has a very gorgeous color and a richly textured surface. It also has multiple eroded gold crystals, rare and unusual to see on raw gold specimens from Australia. It is a hand selected jewelry/investment grade gold nugget, which is the highest grade there is. It is clean and free from all host rock or mineralization. The size is 3/4" (19 mm) long. 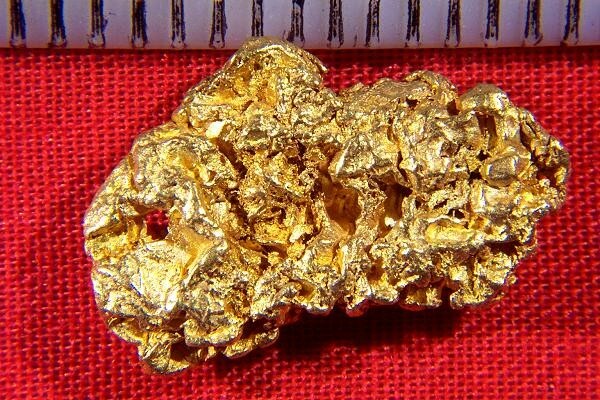 Gold nuggets like this one from Australia are highly prized by jewelers, collectors and investors because of the high purity (92% to 98% pure). Add a gold bail and make it into a gorgeous pendant or necklace, or display it for it's beauty. makes a great investment.